Want to improve your fitness but don’t want to have to find a babysitter? You’re in the right place! Bring your baby and get moving with us today! 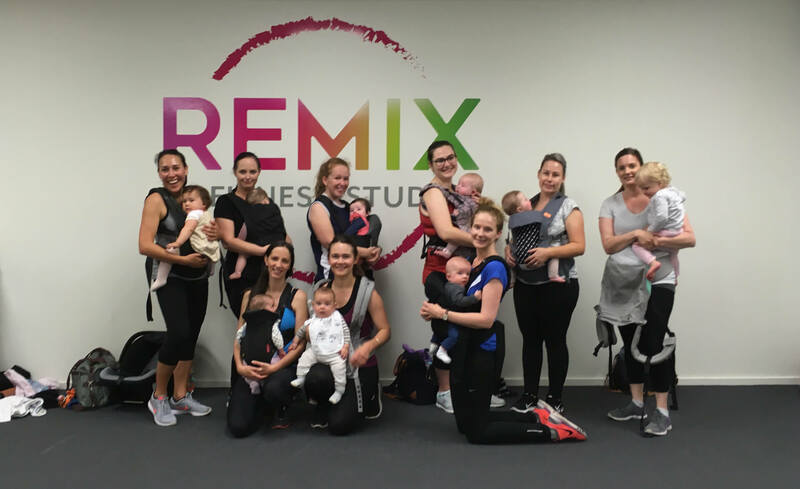 Whether you’ve just had a baby or you’ve got a toddler, these classes are designed to keep you motivated with fun, refreshing workouts and support every step of the way. 6 week program starting on 29 January 2019. Classes are held at Remix Fitness Studios, Bethlehem Town Centre. There are toilets, change tables and plenty of parking on site. This circuit style class targets strength building and muscular endurance. You’ll work at your own pace using body resistance and a few pieces of equipment. Baby can either sit in the buggy or on a play mat beside you while you work out. Leave your baby in the Polka dots room to be cared for and watched by two of our staff members, while you get your groove on and improve your fitness through dance. Register today for only $20 a week. 6 week program to be paid in advance as a single payment of $120. Babies of all ages welcome. Each program requires a minimum of six registered participants. If we are unable to reach the required number, you will be notified and any payments fully refunded.